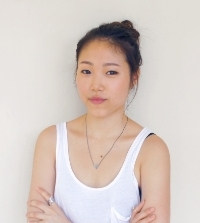 Shu Han Lee is a cook, designer and blogger who came to London from Singapore to study graphic design at Saint Martins College. Best known for her witty and beautiful blog Mummy, I Can Cook (for which she was named one of Britain's best food bloggers by The Sunday Times), Shu’s food writing/ styling/ illustrations have appeared in numerous online magazines and foodie publications. Her ‘noodles classification system’ has appeared in Hong Kong Tatler and her designs related to sustainable eating have been featured by the British Library. Once a month, or whenever she’s got too much energy, Shu puts on a chef's apron and finds herself hosting supper clubs and pop-ups and workshops. She was most recently part of the Plusixfive collective (“A truly epic meal for £30 a head which you couldn’t get elsewhere in London even if you tried; after all Singaporean restaurants are sorely lacking here” – Gourmet Traveller), for whom she art-directed Plusixfive - A Singaporean Supperclub Cookbook. She has since done gigs with/at Yum Bun and Street Feast in London, and NONG (Edible Gardens) and Carpenter & Cook in Singapore. Shu's first book, Chicken and Rice and All Things Nice, is published by Fig Tree.